A comforter is an absolute essential if you want a peaceful, cozy and comfortable sleep and it is no longer meant for the winter alone. Since most of us use air conditioners during the summers, having a comforter just adds to the comfort level. So, if you are here reading this article, we are sure you are in need of a good comforter, and that is why we will be reviewing three of the best comforter for summer on the market presently. We have picked three comforters and looked into their important features, pros, and cons. If you are always looking for luxury items and need the same from your comforter, then the Silk Camel Luxury Comforter is specifically tailored for you. With the shell made out of a 100% cotton material and filled with 100% high-quality and top of the class long-strand mulberry silk, this comforter is truly considered to be one of the most comfortable comforters on the market right now. This comforter is available in four different sizes. 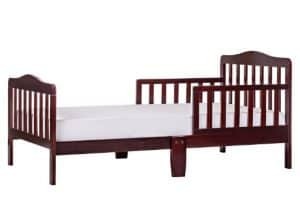 The twin size has a dimension of 68 x 90 inches, the queen size at 86 x 90 inches, the king size at 102 x 90 inches and a special California king size at 108 x 96 inches. Having these varied sizes will ensure that no matter what the size of your bed is, you will surely find a comforter that fits. Additionally, the company has provided multiple options for this type of comforter based on the weather. So, now you can select between four comforters, summer, spring, fall, and winter. Each of these differs from each other with the amount and weight of filling within. You also no longer need to be worried about this comforter getting clammy as it keeps moisture away and is amazingly breathable. Also, if you are the kind who suffers from allergy and rheumatism, then you will certainly benefit from this. That is because it will keep you comfortable while simultaneously keeping allergies at bay. 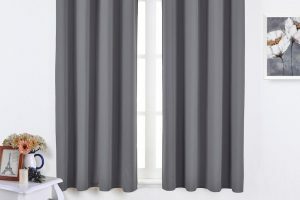 In addition, there is a total of eight clasps that are placed in the corner and on the side of the comforter in order to prohibit it from slipping. Best of all, you get a well-designed bag to keep this product safe during storage and travel. Hence, next time when you are visiting someone’s place or a hotel, you can carry this along with you. 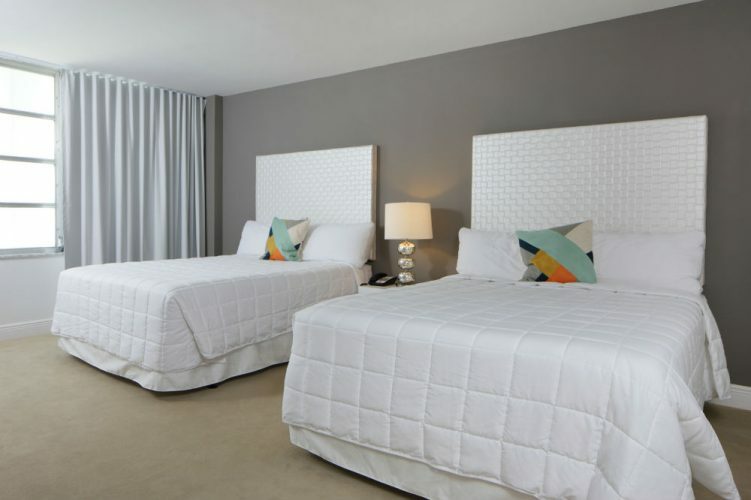 There is no argument that the Unite Down Comforter is one of the best comforters that we love because it is available in not just white color but also in a very trendy and chic-looking gray color. This is a big plus as most comforters lack color choices. The Unite Down Comforter is available in four different sizes which are twin or twin XL (68 x 90 inches), full (90 x 90 inches), king (100 x 90 inches), and California king (106 x 90 inches). The 100% washed duck fill weight in each is 430 grams, 570 grams, 640 grams and 680 grams respectively, that comes with a 750+ filling power. Also, this comforter has one of the most natural fillings, and best of all it is allergy-free. The cover used on this comforter is made out of an organic, down-proof cotton that a thread count of 600. This fabric too is free from allergies and prevents any kind of dirt and dust to accumulate over it. The company has ensured that this product lasts you for a long time by ensuring that it has a very durable stitch. The edges of this comforter are double stitched and also has a self-piping system that provides the comforter a clean and elegant finish. In addition, each of the corners on this comforter has an angle. Washing the comforter couldn’t be easier either. You can wash it in the machine with cold water and tumble dry it only on low heat. It can also be dry cleaned. Filling used is entirely made out of 100% pure washed duck down. 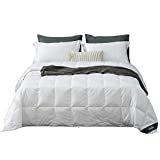 Globon White Goose Down Comforter/Blanket King Lightweight Summer, Real Silent&Soft Down-Proof Shell, 400 Thread Count Hypoallergenic, 18OZ, 700 Fill Power, with Ties, Solid White. The Globon Comforter is available in the color white. 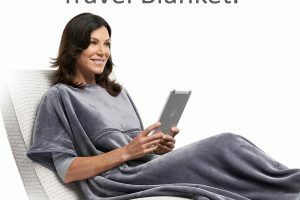 It has a shell made entirely out of down-proof cotton with a 400 thread count. On the other hand, the filling is composed of white goose down that has a 700 fill power and is treated with Texcote Nano. The high fill power ensures that it reduces any odor and does not make the product clammy with long-term use. This comforter is available in two sizes, which are king and queen. The queen size has a dimension of 90 x 90 inches and has a 14-ounce filling while the king size has a dimension of 106 x 90 inches and 18 ounces of filling. Also, the comforter repels any moisture, as well as hypoallergenic and anti-bacterial in nature. Hence, this comforter is ideal to use in the summers. The comforter is guaranteed to last you a long time. What makes it unique from most comforters is that it has elegant box-style stitching. In addition, it has neat and nice piping and comes with four corner tabs so that you can anchor a duvet cover on it. Although it is recommended to dry clean this comforter once every three to four years, it can be washed and dried in a machine on a regular basis. These are the three of the best comforter for summer on the market right now. Each of them is simply fabulous and come with a variety of features that will suit everyone’s preferences and needs. Nonetheless, between the three of them, if we had to choose one, our pick would be the Silk Camel Luxury Comforter. This comforter has a filling made out of high-quality long strand mulberry, comes in multiple sizes and also a bag which makes it easy to carry around.